In October 1941 when I was due to start my schooling, we lived at Hauwai, a tiny settlement beside the railway station of that name, on the south side of Lake Grassmere. This was before the development of the salt industry. The railway served a very different purpose to what it does today. Heavy road transport was very limited (if any) and farm produce would be taken to the nearest railway station where, hopefully, the next train going in the right direction, would load it onto a wagon and take it to its destination. I think stock wagons may have been left at stations sometimes for farmers to load their own stock ready for the train. The school at Grassmere had been closed in 1938 when a number of small schools in the Lower Awatere were amalgamated with Seddon School. Mr. Lockhart was the headmaster, Miss Gandy taught standards 1 & 2, and Miss Shanks taught the primers. 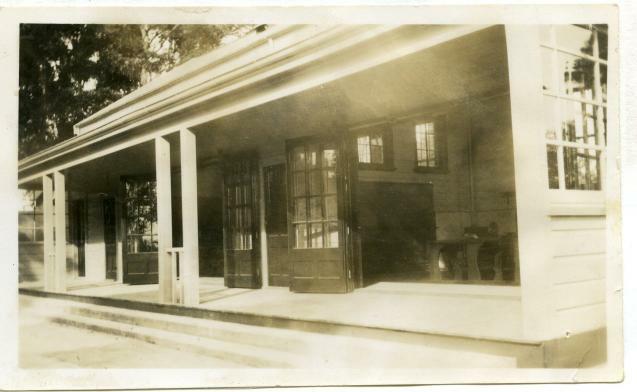 The Primers and Standards 1 & 2 were in adjoining classrooms with an open verandah running along the front. These were the war years, when petrol was in short supply and rationing in force so our meagre petrol supply was kept for any emergency trip into Blenheim that may arise. For shopping my Mother and I would take the train heading North from Ward, which stopped at all the little stations along the way, including Hauwai. Returning we would catch the train in Blenheim later in the afternoon. Another facet of wartime petrol rationing was that school bus pupils often took the family bread supply home with them - Reilly`s Seddon store delivering it to the school before the bus left. To get to school, we relied on the school bus to transport us from Grassmere. Before meeting up with the school bus I would first walk down to Marfell`s Beach Road. Frosts could be severe at Hauwai in the winter and on cold winter mornings my Mother warmed little stones in the oven and I held them in my gloved hands as I walked. At the corner I would meet Mrs. Woodgate coming from Cape Campbell with other children in her car. This necessitated leaving home about 7:15am to meet Mrs. Woodgate at 7:30am and then meet the bus at Grassmere at 8am. The school bus had seats arranged along the sides and another two rows back to back down the middle so that we faced knee to knee across the narrow aisles. We were the first children on the bus, which then took a circuitous route, collecting pupils through other areas including Blind River, arriving at school by 9am. The return trip went first to Grassmere so that we were home by 4pm, but it was a long day for a five-year-old. One day I arrived at school without my lunch, whether left in Mrs. Woodgate`s car, on the bus or not taken from home, I don`t recall. But, no problem, Mr. Lockhart, the headmaster, took me home with him for lunch with his family. I was over-awed at this kindness, and reminded myself to use my knife and fork properly! I enjoyed lunch in a warm, welcoming family atmosphere. In the history1 written about education in the Awatere, Mr. Lockhart is described as being "held in high esteem by pupils and staff and (it was)no surprise that he and Mrs. Lockhart were often guests at weddings of former pupils"
Want to find out more about the Starting school in Hauwai ? View Further Sources here. Sister to Phil.Our father took over the farm from his uncle(Ted)after WW2.Uncle Ted moved to Ward,but retained an interest in Maramatia.Dad was very fortunate to hit the "wool boom" which free holded the farm.Our family of4 children,along with Mum&Dad spent many happy years at Hauwai. 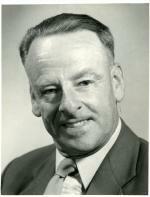 We all attended Seddon School,my first teacher was Marjorie Dixon,who married Lawrence Pattie,becoming neighbours. Alex&Vera Robertson&their 2 children lived across the track.It was a friendly compact neighbourhood,every one pitching in helping with hay making,shearing,dipping ,heading barley.Reg(Timate)&Eric Davis--Veras 2 brothers&Later Bill Johnstone ,other neighbours included in "working bees".I remember going for ride on the jiggers with the railway men--the Andrews family&another family(possibly Hooper),all the kids played together&got into trouble together.Great times. I too shared life in the same environment although some time after. My father commenced farming at Hauwai around 1948. I was born in 1955 and grew up in the area until I left in 1972. The railway played a big part in our lives too. We received mail and papers by train each night, and a dash to the station with a torch was required in the winter to retreive fathers paper.We loaded out wool and sheep onto rail wagons, and at times Hauwai was a busy siding. It also served as a crossing point for opposing trains and we got to know the train drivers well. They would let us stoke the engines and give us a ride to our driveway all biet only 500 metres. Loved the place and have returned a number of time. Our farm Maramatia was named after the golden glow of the moon off the lake.